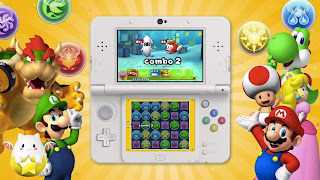 A Green Mushroom: Puzzles, Dragons, and Mario? There was a free demo for the 3DS Mario version of Puzzle and Dragon on the eShop so I grabbed it to see what the game was about. I've never played Puzzle and Dragons before, but what I found was a game somewhere between a Bejeweled, Puzzle Quest, and Terra Battle. If you're not familiar with those games, it's basically a game where you're trying to match 3 or more gems of the same color in a row or column. Every time you start moving a gem it shifts all the others it travels through in order to get to it's final destination. The game quickly becomes more about bumping other gems around rather than concentrating on the gem you're dragging. Moving the gem around is timed, but you can freely move it as much as you want and as far as you want within the time limit. You end up trying to bump as many gems into combos as you can within the time limit to set up massive damage. You have a team of characters sitting above the gems, and those team members correspond to gem colors. When you match up gems of their color they will attack. So, line up 3 or more red gems and all your red characters will attack the enemy. 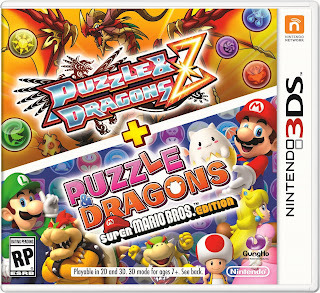 I had fun playing the intro level to the Mario version of Puzzle and Dragons but I got demolished in the expert level. I felt like I must be missing something so I grabbed the regular Puzzle and Dragons on my phone and started to play (since it's free to play). After less than a day I'm already bored of it. It's completely designed to make you start running into roadblocks so you need to pay to play adequately. Once I reached that point - and it only took a few hours - I deleted the app from my phone and moved on. Then I went back to the Puzzle and Dragons Mario Edition and tried the expert level again, thinking that maybe my newfound skill would help me. It did not. Now I'm kind of caught in a dilemma. The core gameplay of Puzzle and Dragon isn't bad for a puzzle game, it's actually kind of fascinating. 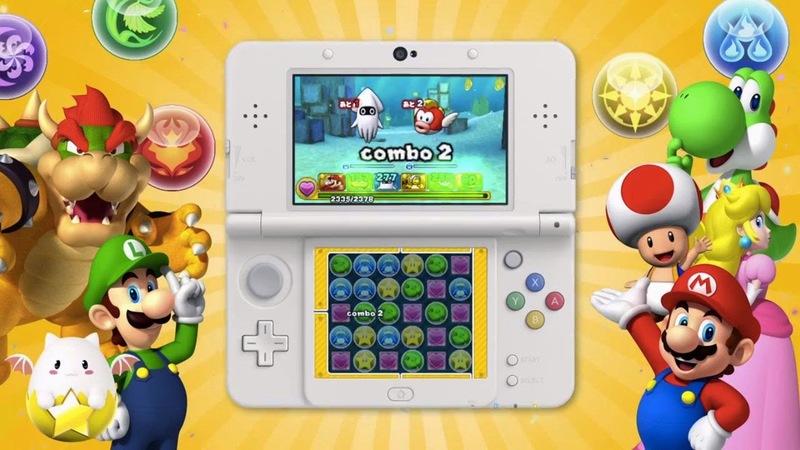 The thing that turned me away from the game is the freemium/F2P structure... but the Mario version won't have that. But apparently the Mario version gets very hard and that can be just as frustrating. I'll probably hold off while I wait to read some reviews on the Mario version. 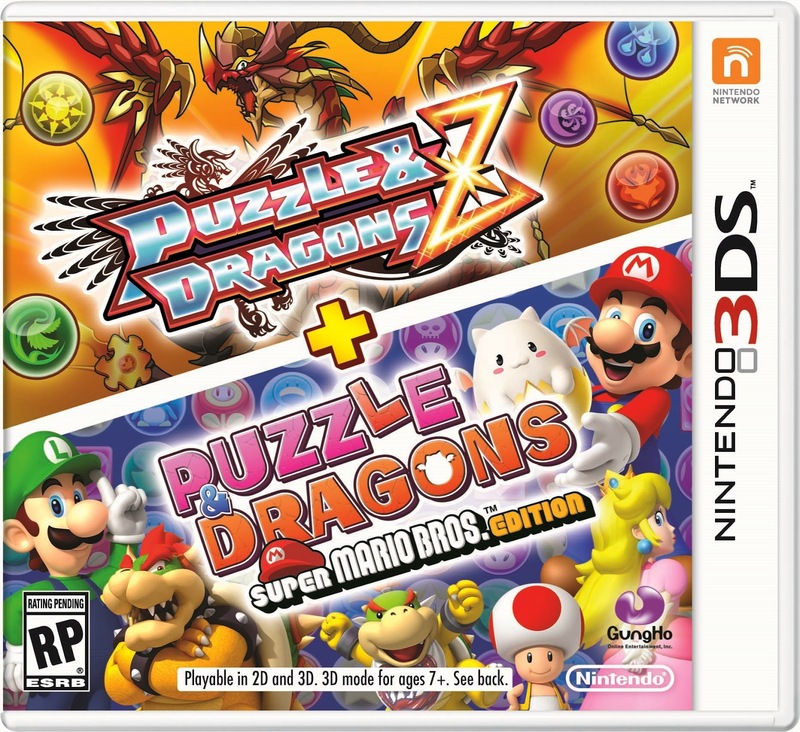 I'm glad I played around with these games a bunch, now I know what people are talking about when they mention the craze that is Puzzle and Dragons in Japan. I played the phone version for months in short bursts, and the F2P structure was fine - I don't understand what part of it annoyed you. I never felt compelled to spend a dime. For me it's just knowing that the energy mechanic and ability to buy my way to a better party is there. It feels like it cheapens the game. I completely understand how you can play without spending money, but this is just one that rubbed me the wrong way.